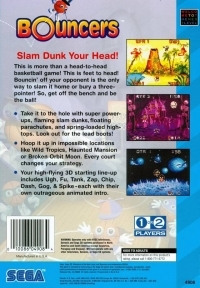 Box Text: Slam Dunk Your Head! This is more than a head-to-head basketball game. This is feet-to-head! Bouncin' off your opponent is the only way to slam it home or bury a three-pointer! So, get off the bench and be the ball! 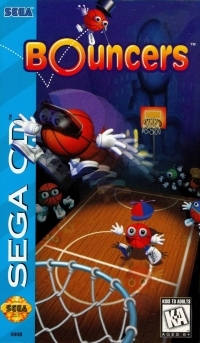 03-21-2012 atariboy Box Text Slam Dunk Your Head! This is more than a head-to-head basketball game. This is feet-to-head! Bouncin' off your opponent is the only way to slam it home or bury a three-pointer! So, get off the bench and be the ball! 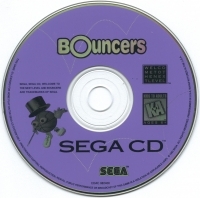 This is a list of VGCollect users who have Bouncers in their Collection. This is a list of VGCollect users who have Bouncers in their Sell List. This is a list of VGCollect users who have Bouncers in their Wish List.